It's very common that people new in InterSystems IRIS want to start to work in a personal project in a full free environment. If you are one of this, Good News!! You can use now the Free InterSystems IRIS Community Edition in the AWS Cloud. It is pretty easy to create a new EC2 instance from InterSystems IRIS Community Edition in AWS Marketplace. 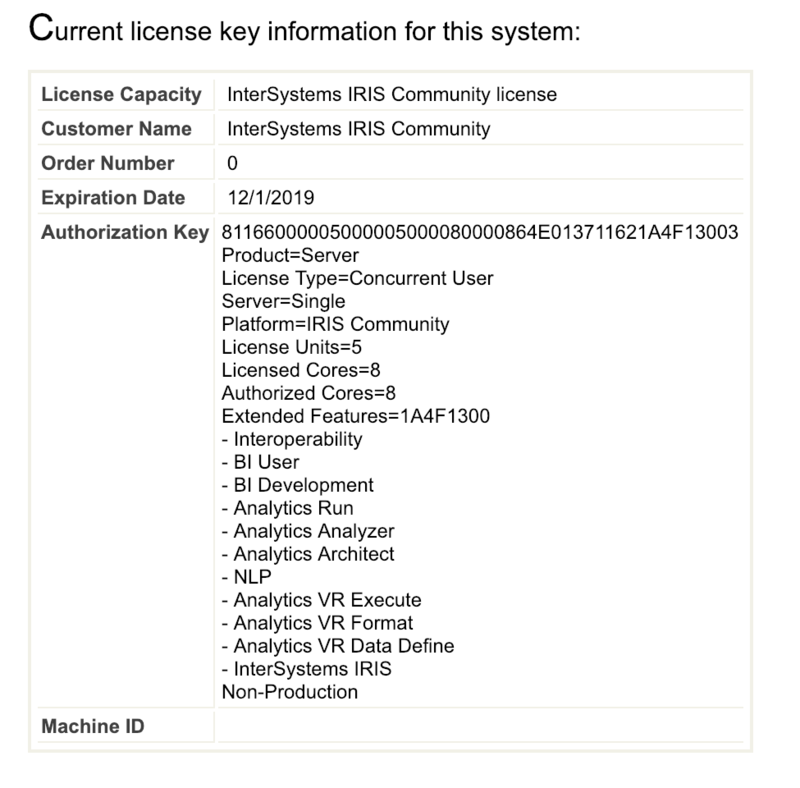 Welcome to InterSystems IRIS Community Edition. in a Docker container named 'try-iris'. application to your 'try-iris' container. You are about to change the password for the IRIS instance. The default credentials are the following. if you try to log in manually. security of the IRIS instance. I am the editor of our user newsletter, Developments, and would like to add an article about the Community Edition. However when I followed your link, there was this message: "This version has been removed and is no longer available to new customers." I've spent quite a number of hours trying to figure out a way to modify the IRIS Container within the AWS Community version so that I can get it to run QEWD.js. I've been able to build a new Container derived from the one provided in the AWS EC2 instance into which I install Node.js and the QEWD modules, etc. Just curiosity... did you test also with GCP or Azure instances? OK some further digging reveals that the main problem is that QEWD is freezing at the point where it tries to start the Node.js Express web server. OK Two steps forward, one step back. Any ideas what's causing it and how to fix this? So a question (if anyone out there is listening) - is there a configuration setting somewhere to enable the callin interface automatically when you start up the container, ie to avoid the need to manually enable it via the System Management Portal? I now have QEWD working in the IRIS Community Edition for AWS environment. To get it running I've had to create a new Container that is derived from the one provided in the Community Edition EC2 platform. Excellent work Rob, thank you for the hard integration work! I got my IRIS container running on AWS in ... less than 15 mins (I used a free tier t2.micro instance). Of which 2/3 of the time was learning to know the AWS website! Let's start developing now the latest React/Vue.js/... apps with QEWD.js/Node.js back-end running on IRIS ... which is very easy now because the complete back-end is in a Docker container to try out. And you have the choice at the front-end: communicating with the back-end using WebSockets or REST endpoints using e.g. the react-qewd or vue-qewd module ... all abstracted for you using very easy methods like this.$qewd.send() (Vue.js with WebSockets) or axios.post() (using REST calls). The link for the IRIS Community Edition AWS listing has changed (it won't again). I would suggest editing this post to update it. Does the free edition has ICM and IRIS with Spark images as well? I couldnot figure that out.